There are real fundamentals behind the recent strength in the Industrial property market. Urbis Valuations & Advisory has observed a few recent (and ongoing) themes that are supporting this sector. In a bygone era, companies managed their own logistics. Over recent decades this has been steadily changing and the use of third party logistics (3PL) to generate productivity improvements and cost savings has continued to grow. According to IBISWorld, the Integrated Logistics industry is now worth over $100bn in revenue in Australia, and after recovering from a blip during the GFC, the industry is growing at over 3% per year. With the recent growth in e-tailing, the requirement for large, modern facilities continues to grow. In addition, many large users such as Toll, DHL and Linfox are matching their accommodation requirements to the terms of their 3PL contracts. If they win an 8 year contract with a major chain, they will seek out a parallel 8 year lease on a warehouse or cold storage facility. 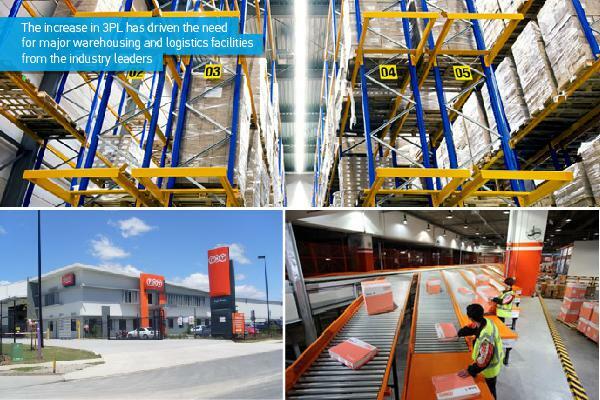 Shorter term requirements invariably see the 3PL provider seeking existing premises, or consolidating their overall accommodation needs by reconfiguring their owned and leased property portfolio. Yield is the name of the game at present. This is at least partly supported by the current strategy of many funds to pursue Income Returns because of increasing superannuation redemption exposure. As a result, there has been a reweighting of portfolios over the past 18 months towards quality industrial assets at the expense of retail and even office. This has created two (maybe three) tiers in the industrial property marketplace, with Institutions looking for prime grade properties and being prepared to accept yield compression as a result. The final theme is the continuation of vertical integration for some institutions that are both developers and funds managers. The business plan of many institutions which offer investment funds in this sector is to actively create assets for their own funds (assets are constructed with thin margins, within structures that deliver them healthy management fees down the track). In recent years this “business model” lapsed somewhat, as fund managers sought to decrease debt exposure and renegotiate debt facilities. This competition for debt, even within the same institution, meant that development projects had to be fully commercially viable at practical completion, with an appropriate reward for the risk taken. For the first time in many years some institutional developers/investors were competing directly against private developers for tenant opportunities – the private developers working to the traditional business model of the end value meeting development cost + realistic profit. However, over the past 18 months, developers such as Goodman, Australand and DEXUS are once again chasing and constructing product that goes to an associated wholesale fund. It is no coincidence that these institutional developers are in joint venture style arrangements with overseas pension funds who seek quality assets under management. This article first appeared in the Urbis Think Tank. Urbis is an interdisciplinary consulting firm offering services in planning, design, property, social planning, economics and research. Working with clients on integrated or standalone assignments, Urbis provides the social research, analysis and advice upon which major social, commercial and environmental decisions are made. With over 300 staff Urbis is uniquely positioned to handle projects from the simplest to the most complex.